When we received the traps in July we put them around the perimeter walls in our log home located in the suburbs of Little Rock, Arkansas. 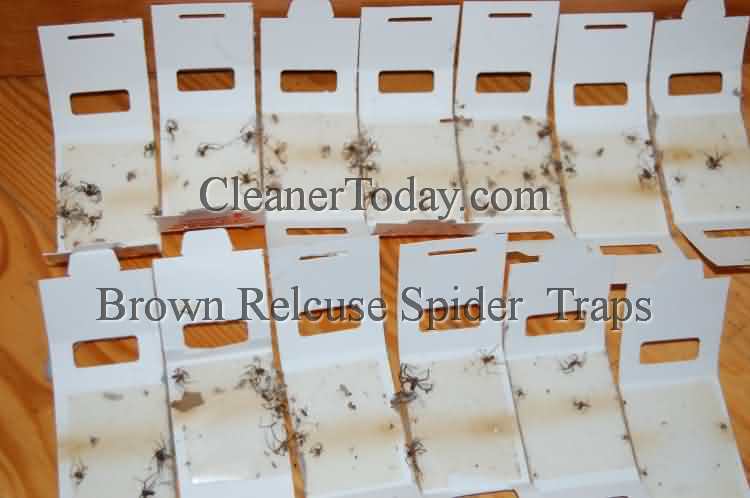 We had been seeing recluse spiders in the house and had killed probably 50 or so before we put out the traps. But as you can see, the traps really were effective on the remaining spiders. The 13 traps have over 50 spiders in them. 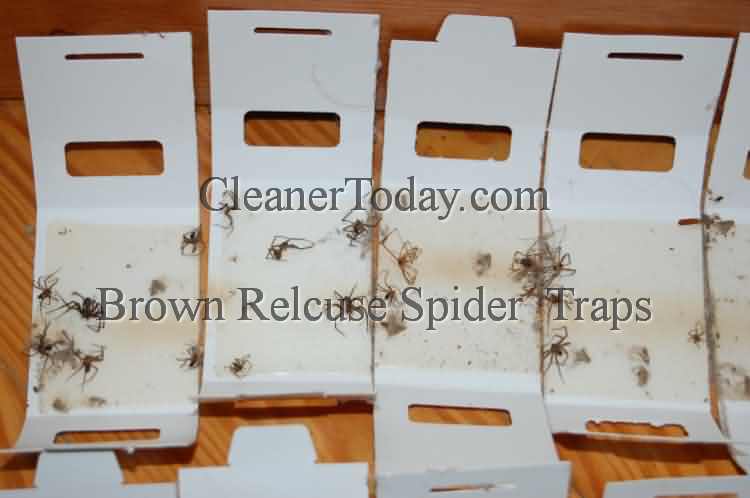 Several of the traps have 5 or more spiders in them and they have been out only 5 or so weeks. We have other traps out that are not in this photo and they also have spiders in them. We are very pleased with the effectiveness of these traps. We plan to leave some out continuously in the future until we erradicate our house of these dangerous pests.